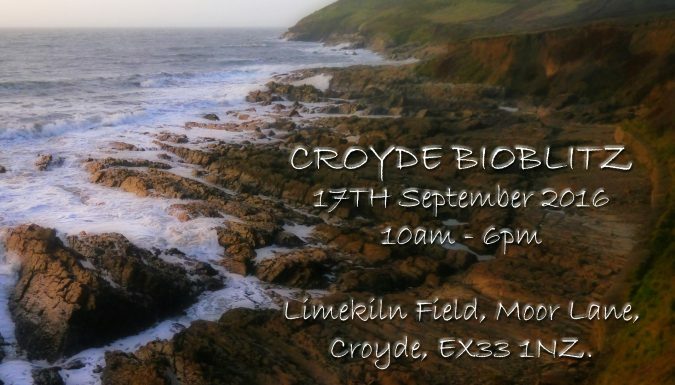 At the North Devon Croyde BioBlitz you can explore the amazing location as we offer a free event in support of the AONB’s Coastal Creatures project. There will be plenty of nature spotting walks, pond dipping, strandline searching and our speciality rock pool rambles. Our team will we be holding a sea mammal watch and a dive boat will be offshore. To be held at the Limekiln Field, Moor Lane, Croyde, EX33 1NZ. There is plenty of carparking available including a National Trust carpark which is free for members. The field base is fully accessible to pushchairs and wheelchair users however some of the activites around the area are only partially accessible. We will assit wherever we can to ensure your enjoyment. Coastwise North Devon who is working in collaboration with the North Devon Coast AONB to organise this event which is only possible with Heritage Lottery Funding.